"I am a Prime Minister King"
Harper's Speech from the Throne a.k.a. 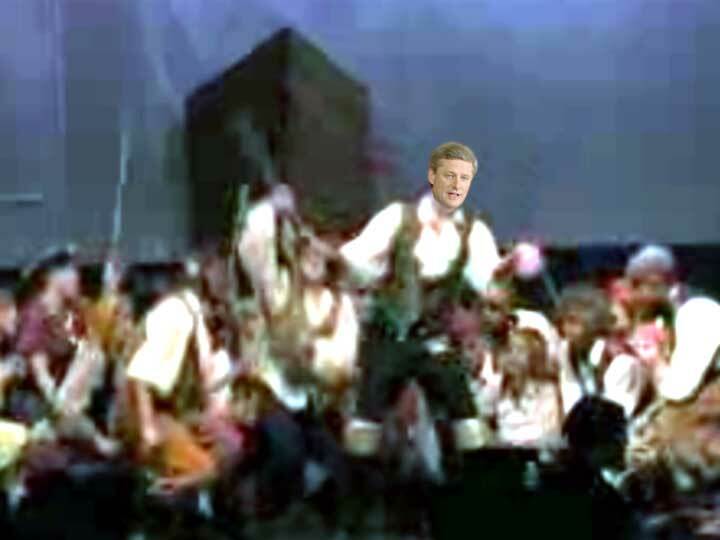 "I am a Prime Minister King" to be adapted to the music of the Gilbert and Sullivan song "Oh, Better Far To Live And Die (I Am A Pirate King)"
and keep for myself all patronage rewards. it's time to invest -you'll make a ton! Me, I'm happy to just sit and wait! I considered my chances, and chose to prorogue! to be a laissez faire Prime Minister King!